1. Tamera Alexander is one of those rare authors where her sequels have a tendency to be better than her first novels…and her first novels are amazing! The best sequels for her are Beyond this Moment, Remembered and Revealed. 2. Ronie Kendig: My favorite novel by Ronie is Wolfsbane from her Discarded Heroes Series. 3. Lori Wick: Sean Donovan. I’ve read this one so many times, like ten times more then the others in the series. 4. Kristen Heitzmann: The Breath of Dawn. I so thought she had messed up with this sequel when I read the premise…it was amazing! 5. Karen Hancock: The Shadow Within and Shadow over Kiriath. Fantastic Fantasy novel that keeps getting better. 7. Elizabeth Camden: Against the Tide. Surprises on every page…Loved Bane! I’m sure these cannot possibly be the only sequels out there that are actually better than the first novel. Please feel free to add some. Just to clarify there are some really good sequels out there, but this list is for those series where you remember the second book (or third or fourth) in much more clarity than the first. In honor of Mary Connealy’s new release, I am going to give away an older novel of hers ( I judge for the Carol Awards and often end up with doubles). The giveaway will last until three weeks from today. You must leave a comment below and I will randomly draw a winner*. Said winner must respond within 48 hours. So, have fun! 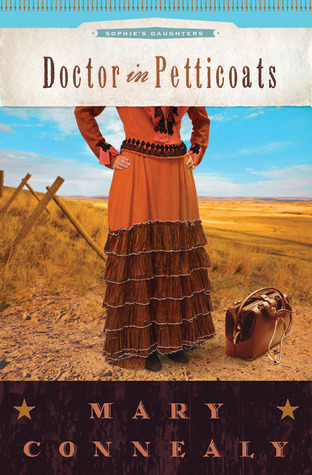 What happens when an idealistic student nurse encounters an embittered army doctor in a stagecoach accident? How will she react when she learns her training didn’t prepare her for tragic reality? How will he, an army deserter, respond to needs when he vowed to never touch another patient? Can these two stubborn mules find common ground on which to work and bring healing to West Texas? *Winner must live in the U.S. Fired Up picks up right where Swept Away finishes and I found this sequel to be a very good read. Like in her other series, this novel gives you insight to all the characters in the first book, so it was nice to see Ruthy and Luke and the other Regulators. First off, I really liked Glynna. Sometimes heroines in Ms. Connealy’s book are either too dominating or too weak. Glynna to me was right down the middle. She managed to come across as both strong, but wasn’t afraid if she was in need of something. I also really liked Dare and his desire to heal people. The romance was nicely done in my opinion. I loved how you could see Glynna being drawn to Dare even though she still had two bad marriages hanging over her head. It was really nice not to have instant love here. However, I think the person that made this book stand out from her other novels was Paul. Having read all of Ms. Connealy’s books, I think Paul is the first son that a main character has had and you can really see the struggle that he was having with his mother considering remarriage and his past with some terrible men. He was my favorite character. 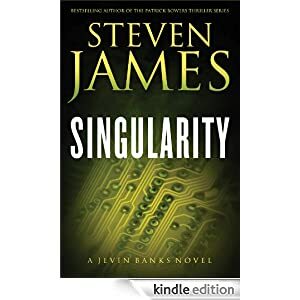 The mystery in this book is not really the focus and to be honest, is fairly obvious from the beginning, but this did bother me as a reader at all. Spiritually, I love the theme of forgiving people, particularly if they don’t ask for it. This novel isn’t heavy on spiritual things, but this point comes across beautifully. Overall, I really enjoyed this book. The pages turned quickly and there were some laugh out loud moments that only Ms. Connealy can deliver. If you’re looking for a light-hearted, fun romance, this is where it’s happening. 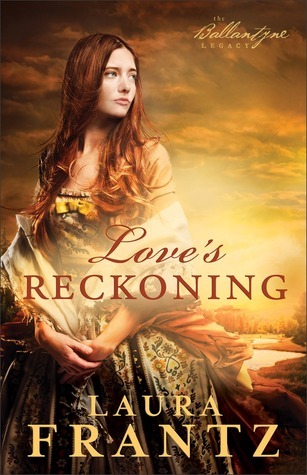 Winner of Laura Frantz’s Love’s Reckoning is Announced! Monday Musings…Books Coming Out Soon! 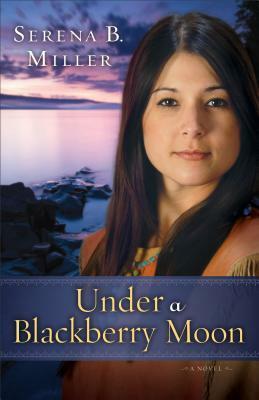 Just a few days after she gives birth alone in the Northwoods, a recently widowed young Ojibwe woman stumbles into a nearby lumber camp in search of refuge and sustenance. Come summer, the camp owner sends Skypilot, his most trusted friend, to accompany Moon Song and her baby on the long and treacherous journey back to her people. But when tragedy strikes off the shore of Michigan’s Upper Peninsula wilderness, Moon Song and Skypilot must depend on each other for survival. With every step they take into the forbidding woods, they are drawn closer together, until the tough questions must be asked. Will she leave her culture to enter his? Will he leave his world to enter hers? Or will they walk away from a love that seems too complicated to last? She’s never said a word–to the cops, to her doctors, to family–about those four years. Bryce Bishop doesn’t know her past, he only knows she has coins to sell from her grandfather’s estate–and that the FBI director for the Chicago office made the introduction. The more he gets to know Charlotte, the more interested he becomes, an interest encouraged by those closest to her. 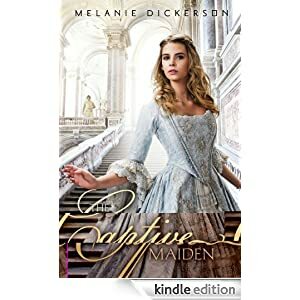 But nothing else is working in his favor–she’s decided she is single for life, she struggles with her faith, and she’s willing to forego a huge inheritance to keep her privacy. She’s not giving him much of an opening to work with. Are there any that you can’t wait for? They all look so good! One of the first Christian romance authors that I read was the famous Janette Oke! I will say, that she has by far written more books than I have read by her. But I thought I would highlight my two favorites. Please, let me know which ones are your favorites and if I should go and pick them up! This book is so romantic. I really liked the movie too, though it differs a bit. Definitely a keeper! Talk about stockholm syndrome. I must have read this book five times when I was a teenager. This one may be my absolute favorite. Though there are a few others that stand out in my mind, as a romance lover, these two are the ones that take the cake. Anyone read these?